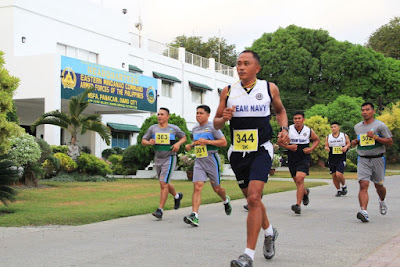 NSFA, Panacan, Davao City – The AFP’s Eastern Mindanao Command (EastMinCom), under Lt. Gen. Rey Leonardo B. Guerrero conducted its first quarter fun run inside Naval Station Felix Apolinario at 6:00 a.m., March 29, 2016. The said activity was participated by around 122 runners, composed of officers and enlisted personnel from Naval Forces Eastern Mindanao and EastMinCom. The fun run is part of the team building program activities of the Command. Likewise, it aims to support the readiness condition of the personnel. Prior to the gun start time, the Chief, Command Special Service Office Captain Alberto Caber provided safety briefing to the runners. Winners were awarded cash prices by Lt. Gen. Guerrero, assisted by the Chief of Unified Command Staff Col. Lope Dagoy. 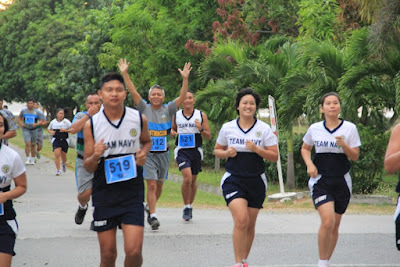 For the record, there were 55 runners for the 3k run; 45 runners for 5k run; and 22 runners for the 7k run. 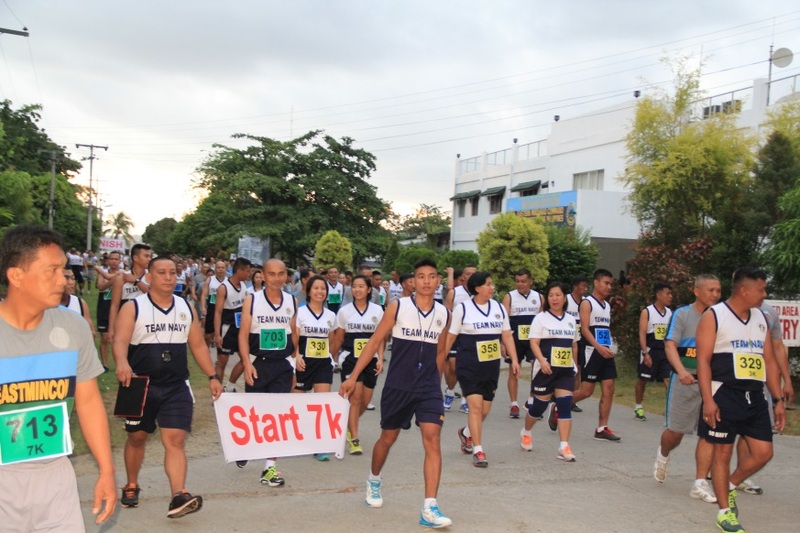 Cash prizes were given away to the 1st, 2nd and 3rd finishers.